To a marginal and unpredictable forecast we attempted Eldrig Peak. Snow showers forced us to turn around and go to Green Lake Hut via the track from Borland Shelter instead. The next day we went back to the road via the tops above Green Lake. Team: Brad Nicholson, Danilo Hegg, James Thornton, Kat Manno and Nina Dickerhof. 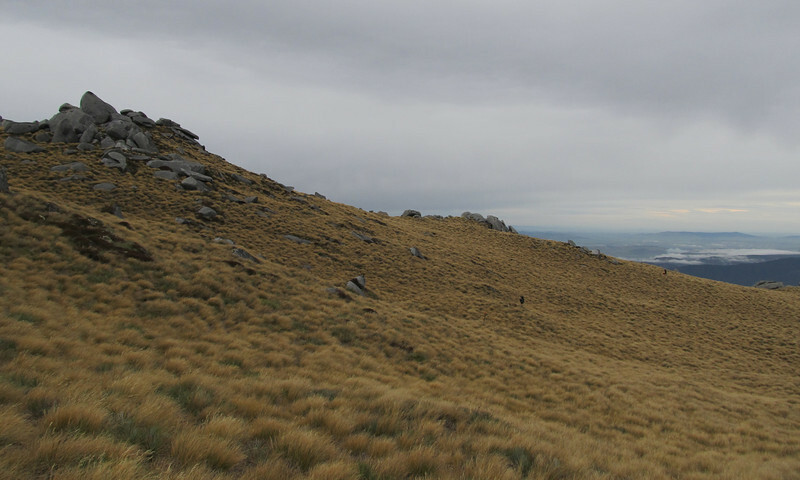 Tussock slopes below Eldrig Peak.